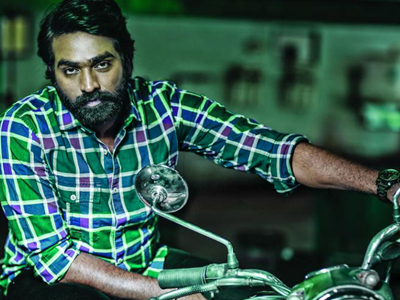 Actor Vijay Sethupathi is on a signing spree after his super success of Naanum Rowdy Dhaan. While the actor has already a bunch of films in pipeline, he is set to act in a new film under Studio 9 productions titled Dharma Durai, which is also the title of yesteryear Super hit starring Rajinikanth. revealed that the film’s story has no resemblances to the old hit Dharma Durai. Though Vijay Sethupathi opted out of Studio 9 production initially, the producers have lodged complaint in Producers’ council against the actors, and after several talks Vijay Sethupathi has given his nod for Dharma Durai. Yuvan Shankar Raja will provide the soundtrack for the movie. This apart, Vijay Sethupathi also has a line-up of films including Iraivi, Idam Porul Yaeval, Kadhalum Kadanthu Pogum, and an untitled flick for Dhanush’s Wunderbar Films.